If I were awarded the opportunity to christen the new La Liga season (what a noble honour) I feel that it would only be apt to name it ‘David’ after the famous underdog who slayed the mighty Goliath from the popular Bible myth. Consequently we could witness the terribly predictable hierarchical structure of the Spanish game collapse and succumb to even the tiniest of challengers (yes I’m talking about Rayo Vallecano) and a beautiful revolution would begin! Alas it appears unlikely even in Spain’s capricious Premier division where up to amongst eight or nine rivals contest the title (ha!). Of course much of that was sarcasm but what a season we would have on our hands! Alternatively SkySports offers us a feast of goals regardless of whether you choose Barcelona over Madrid one evening. And you can see a game that doesn’t horribly shock you after enjoying a tactical flutter whilst tucking into more paella than Carlos Puyol (probably) has stuck in his hair at 10pm on a Sunday night. Who knows, if your timing matches the optimum standard of those magnificent 5th officials UEFA has installed (more sarcasm) then you may just glimpse Valladolid grace your screen one night (after all they’ll probably only appear 4 times a season. Real Madrid H&A, Barcelona H&A but with any luck their purple panache might just meet one of those two in a cup tie! Giggity!). 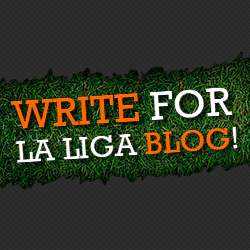 Should this occur, expect goals as recently promoted Valladolid will probably be squandering in the lower reaches of the La Liga table having amassed fewer points than the amount of goals they’ll concede on the night. Now the majority of the squad have begun to arrive at the club’s training ground in the shadow of their Jose Zorilla stadium at long last as the ringing of the dreaded bleep tests fade from the memories of many of their fellow La Liga opponents. Arriving so late for pre-season has its consequences but Valladolid only have the Spanish FA’s awful scheduling disability to blame (see 2012 Copa del Rey Final). Maybe we need to set up a trust fund or something. Anyway, many of Valladolid’s players have returned but a huge proportion of those returnees aren’t actually tied down to the club. Three players from the play-off final squad are still to renew their deals with the club and three members from the starting lineup have left for nothing. The club must have had such little faith in those players by offering them such short deals in the first place! Sisi, Nauzet and Medhi Nafti no longer adorn the purple of Valladolid having been integral to the promotion push last year. Despite not knowing what players will feature in the season ahead, the club remain confident of claiming the signatures of Jofre and Alonso and extending their deals. Prolific marksman Javi Guerra remains however. The focus will be on him to help Valladolid to safety and avoid an instant return to the Segunda. He has spoken of his ambition to succeed in the Spanish top flight and cannot wait for the season to begin, but probably to avoid being forced to tears by an overload of press-ups again. 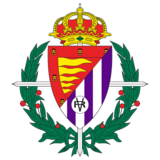 Valladolid form an excellent trio of promoted teams, all of whom stand a realistic chance of surviving in La Liga. Ok, so Zaragoza rely on the divine intervention from the man above and can’t possibly be relegated but below-par teams like Granada, Vallecano and the recently troubled Espanyol should be dead and buried by Christmas meaning Valladolid can enjoy their return to La Liga a bit more. This team have enough quality to remain a Primera Liga team next season but the first few months will be a real struggle due to the lack of pre-season preparation but they are hungry after relegation two years ago. Expect a slow start but a safe ending.